Canva is a website that works online, you don't need to download or buy the product in order to use it. 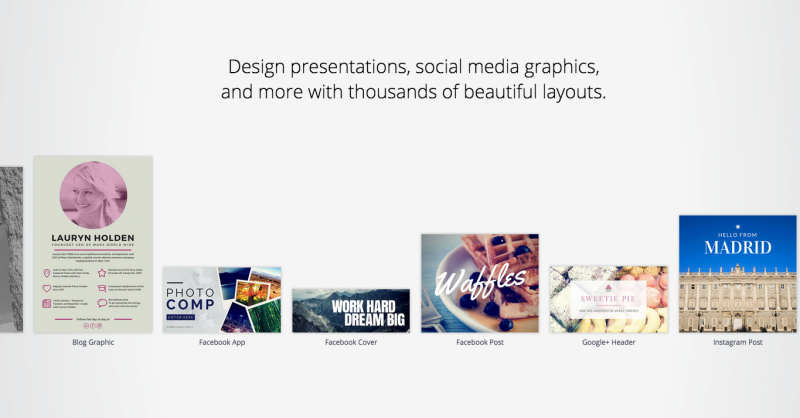 In just a few words, Canva has a drag-and-drop feature that includes millions of images (stock photos, vector images, icons, shapes, etc. ), photo filters and other photo editing tools, many different fonts, and professional layouts to design beautiful and compelling graphics of any kind. You can design presentations, social media graphics, layouts, email headers, letters, gift cards, business cards, and much, much more. It is free to become a user, and to design and use their graphics, however, some items (backgrounds, images, shapes and fonts) may cost as little as $1, however, you won't get charged until you decide to download the final product. Anyway, they have a lot of items that are free to download, too. So if you're looking to create a Facebook ad, or a pin, or an email header, a Google+ banner, write a letter or updating your resume, this is the place to go.